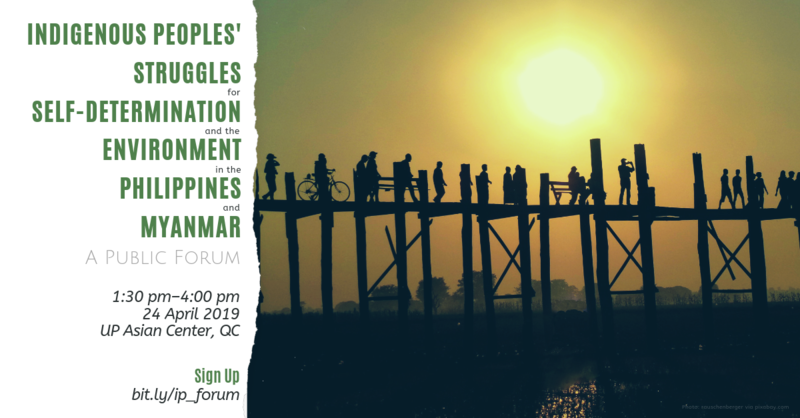 The UP Asian Center will be a holding a public forum, “Breaking Barriers, Building Bridges: ASEAN’s Way Forward” on 3 May 2019, 1 – 5 pm at the UP Asian Center, Quezon City. The event is free and open to the public. Seating is first-come, first-served. Walk-ins are welcome, but participants are encouraged to sign up. Join us for lectures, conferences, and other events here at the UP Asian Center. Sign up for the MAILING LIST. The UP Asian Center is looking for one (1) University Research Associate II. This is a position with item number UNIRA2-237-1998, and with Salary Grade 14-1. Deadline of applications is on 15 April 2019. 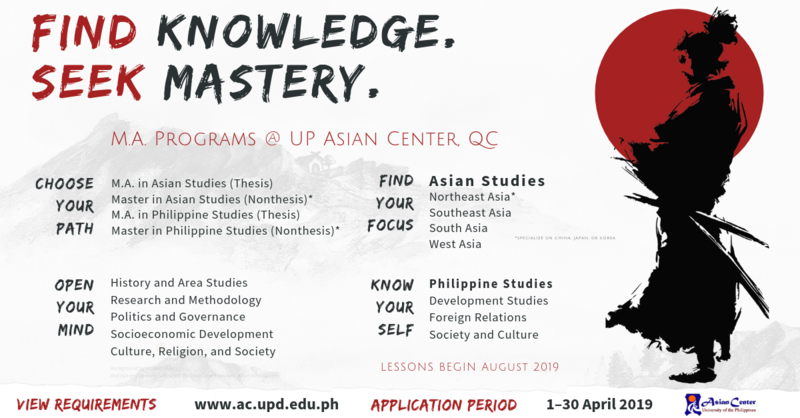 The UP Asian Center now welcomes applications to its graduate programs on Asian Studies and on Philippines for the first semester, Academic Year 2019–2020, which starts in August 2019. Application period is from 1 April – 30 April 2019.